Here is a Monday outfit inspiration to make getting ready for work a little easier. 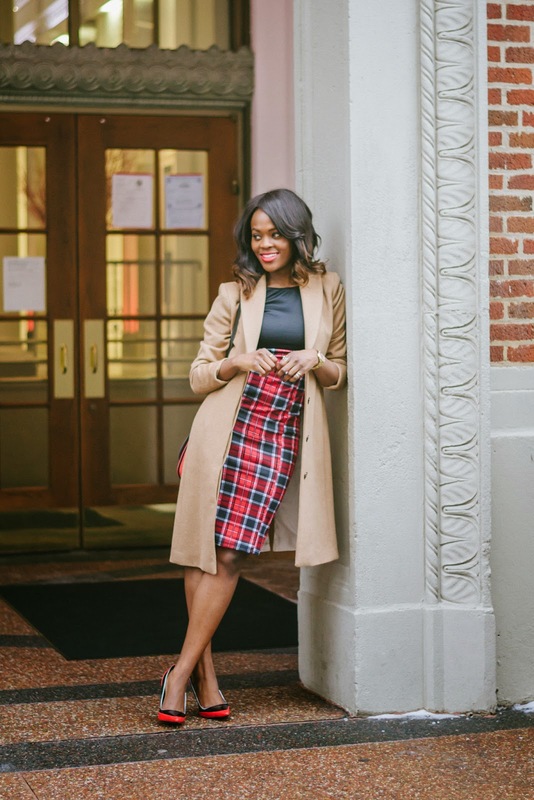 The Camel coat has been getting a lot hype for the Fall/Winter 2014, clearly because of its versatility and ability to add that instant cool girl factor when thrown over almost any ensemble. It is safe to consider me a big fan of Camel Coats. 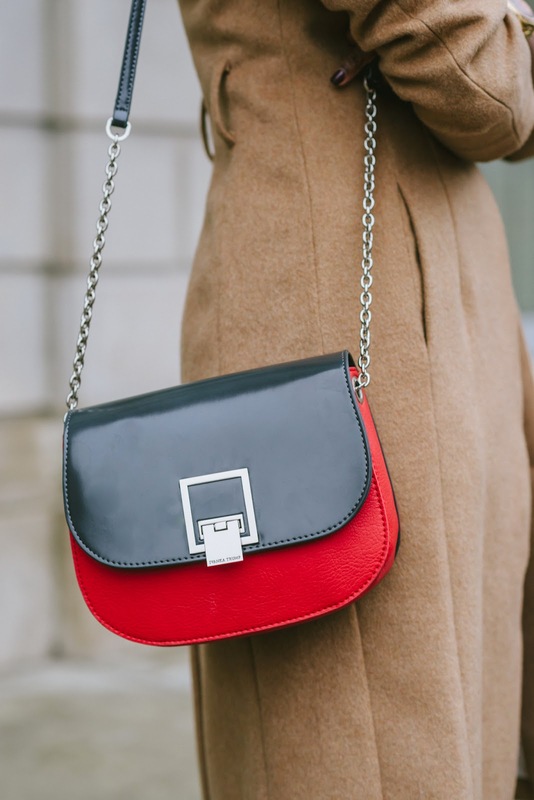 Fashion forward ladies have been seen rocking this trend like pros with anything from jeans to figure flattering midi skirts. 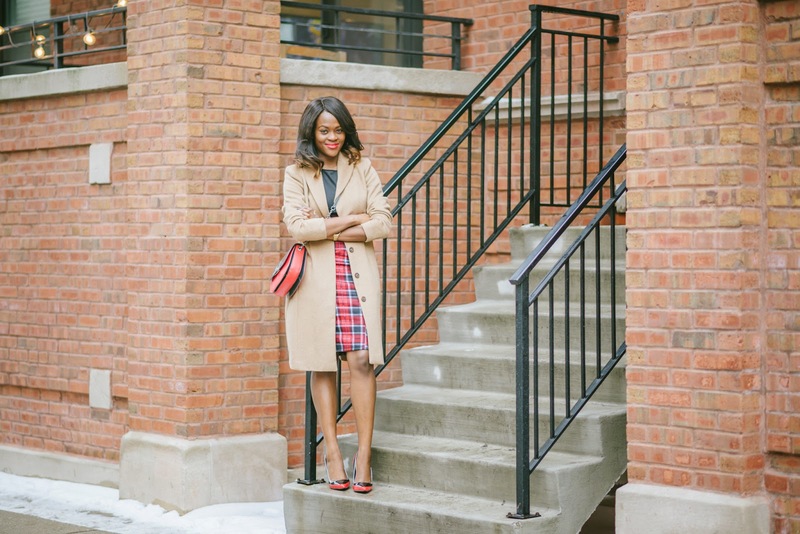 Today, for an office/work ready look, I am using the Camel coat to “tone down” what would have been a complete color blocked and utterly “matchy-matchy” look. 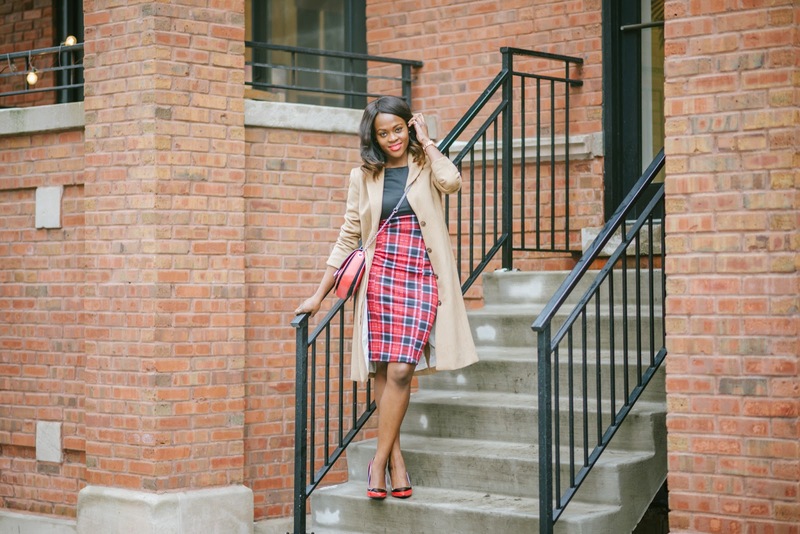 Using the plaid dress as the focal point, I highlighted the plaid colors with matching accessories. Then, comes in the camel coat which breaks up the color block effect but throws in the “cool girl ready to take on the world effect”. Next time you feel a little too “matchy-matchy”, take out that camel coat for a fresh balanced look.